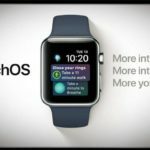 Unless you have a Series 0 Apple Watch, there is a lot to be excited about when it comes to watchOS 5. 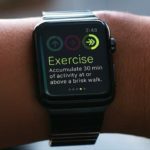 The latest software to come to the Watch includes a slew of new features, including the ability to view web content. That’s right, Apple introduced WebKit for the Apple Watch during the WWDC 2018 Keynote. This means that you will be able to view some web content from your wrist without opening your phone. The catch with this new WebKit API is that you are limited to being able to use it with select apps. Mainly, these apps include Apple’s Messages or Apple Mail. This may be a bit of a disappointment, but it should not be surprising. After you have tapped the preview link for the web address, you will be taken into WebKit on your Watch. If you want to interact with this page, here are some different actions you can perform. Outside of scrolling up and down with your finger or the Digital Crown, you will be able to interact with these web pages. In order to activate the extra options, Force Touch your Apple Watch on the page you are viewing. Reader Mode is used by default on your wrist due to fact that the display is so small. However, if you want to use the full-view option, you can do so by using these hidden controls. It’s important to note that this mode will show ads on your wrist, but you will not be able to view embedded videos. If you read the sub-heading and thought that this is impossible, you would be wrong. 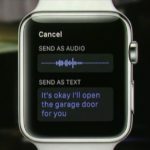 With the inclusion of WebKit in watchOS 5, you can even perform Google searches from your wrist, leaving Siri behind. The steps for doing so are pretty simple, as you will need to text or email yourself a link to google.com. Then just open either Messages or Mail and tap the attached Google link on your Watch. Then you can use the Reader Mode view of Google Search on your wrist and use Scribble or Dictation to perform searches. This version of WebKit is extremely early and may not even make it to the final version of watchOS 5. However, for those who already have the latest watchOS, you may run into some issues with loading web pages. It’s highly likely that this is because some websites don’t properly render on the tiny display of the Watch. So if you begin running into problems when attempting to access links, then you’ll want to clear the website data. 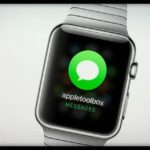 So what do you think about WebKit on the Apple Watch? Could you see yourself taking advantage of this? Or do you think it’s more of a novelty that will never really have any real use? Sound off in the comments below and let us know what you think. If you have any questions, be sure to let us know and we’ll be more than happy to respond to help walk through any problems.